This cat is telling me he has every right to drink out of the horse trough in Gorbio village. Of course he does! 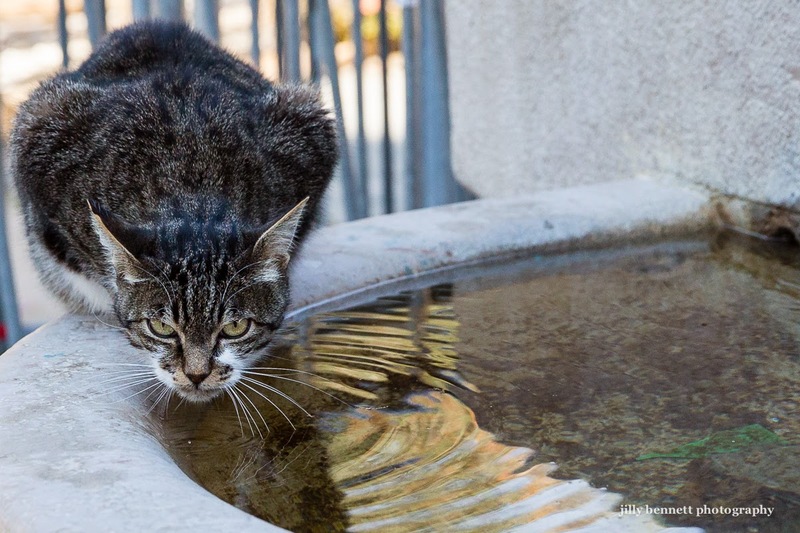 Ce chat me dit qu'il a le droit de boire de la fontaine du village de Gorbio. Et bien sûr, il le fait! Oh, there is such attitude in those eyes! The composition here is excellent and the energy too: I wouldn't say the cat thinks it's a horse, more like a tiger with those killing eyes! A Village Baptism - Raphaël. A Village Baptism - Aperitif! A Village Baptism - Bonbons! A Village Baptism - Nolan or is it Fred Astaire!